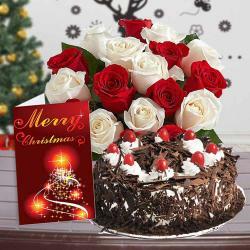 Product Consists : Bouquet of 20 Red and White Roses in a cellophane wrapping with a matching bow, Indian branded bottle of Wine along with Christmas Greeting Card. (This product can not be delivered in Gujarat as it has been declared as 'Dry State'). 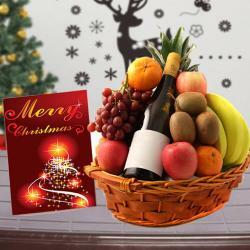 To make the Christmas special, we have a fabulous hamper best to be presented to anyone from friends or family. 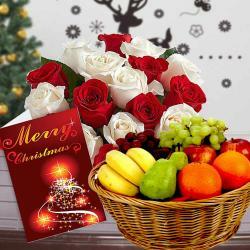 Let your loved ones feel happy from within with a special gift that includes a bunch of eighteen mix roses along with Indian branded bottle of wine and a Christmas greeting card. The mix roses are all set to make an impression on anyone's heart, with their delightful fragrance. Gift this and bag appreciation. 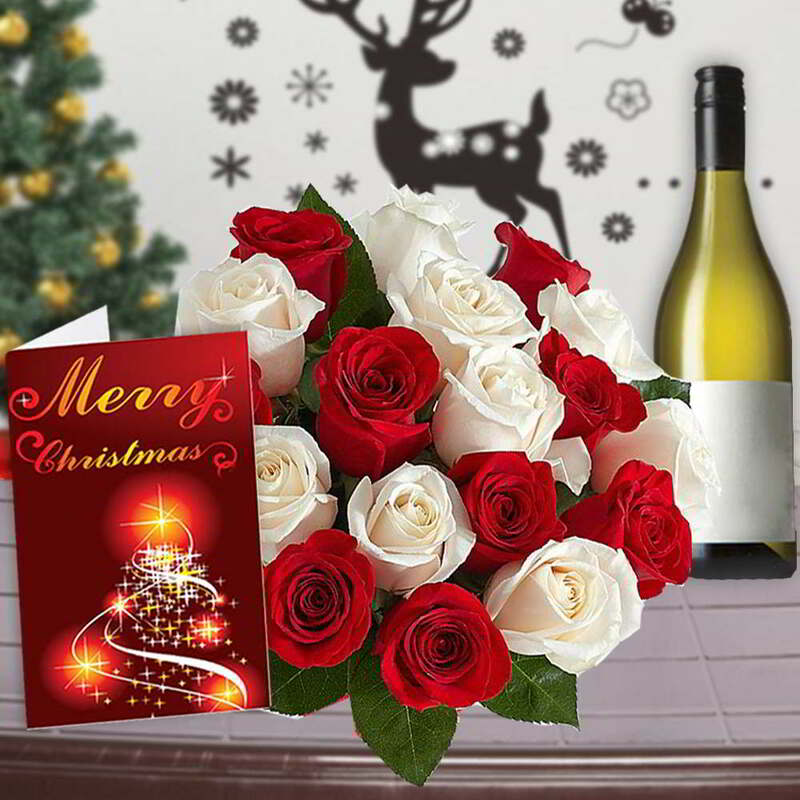 Product Consists : Bouquet of 20 Red and White Roses in a cellophane wrapping with a matching bow, Indian branded bottle of Wine along with Christmas Greeting Card. (This product can not be delivered in Gujarat as it has been declared as 'Dry State').